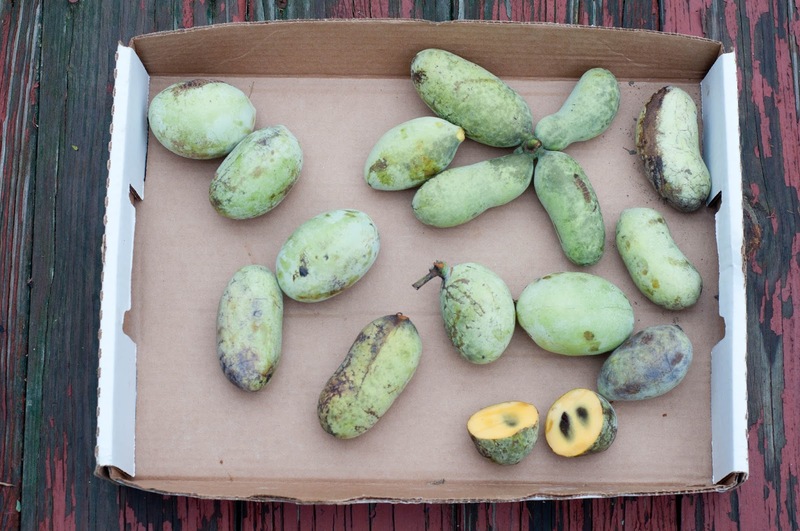 On my winter reading list the first book I read was "Paw Paw, In Search of America's Forgotten Fruit" by Andrew Moore. It was such a great book that was extensively researched and thoughtfully penned. 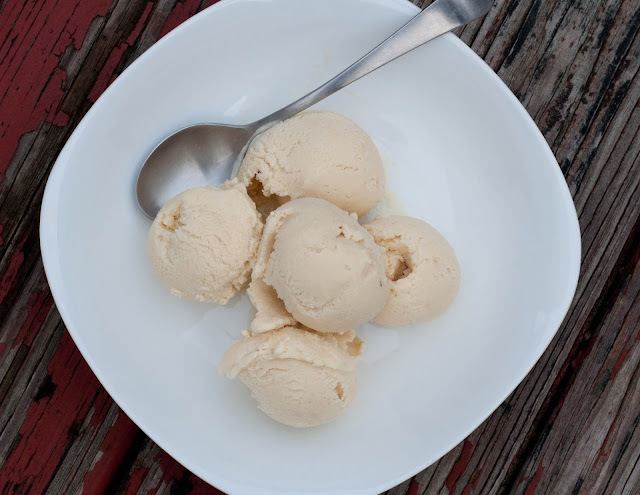 In the book they talk about applications for the Paw Paw fruit (our nation's largest NATIVE fruit) and one such application is ice cream. I'd seen paw paw ice cream around but never was able to get my hands on it. The book also notes a place, Integrated Acres, in Ohio that sells frozen paw paw pulp. On a side note I can NOT wait until my trees are old enough to start producing fruit. Hurry up already! So I ordered some paw paw pulp and what better time to have a taste test than at the Christmas dinner table. 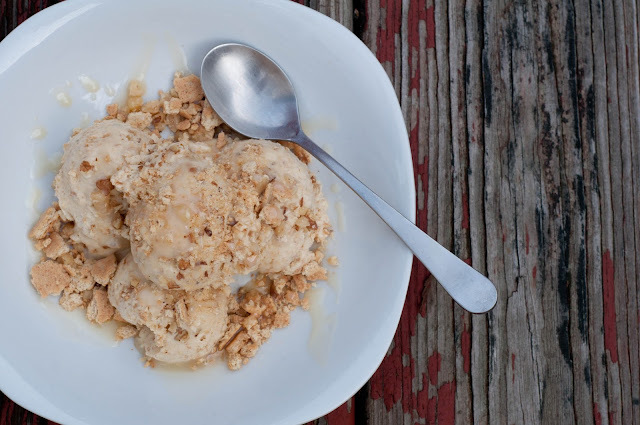 I decided I should keep this project an Ohio project using Ohio paw paw and the base ice cream recipe from the sovereign of ice cream herself Jeni of Jeni's Spendid Ice Creams based in Ohio. From there I added 1 1/2 cups paw paw pulp per batch. 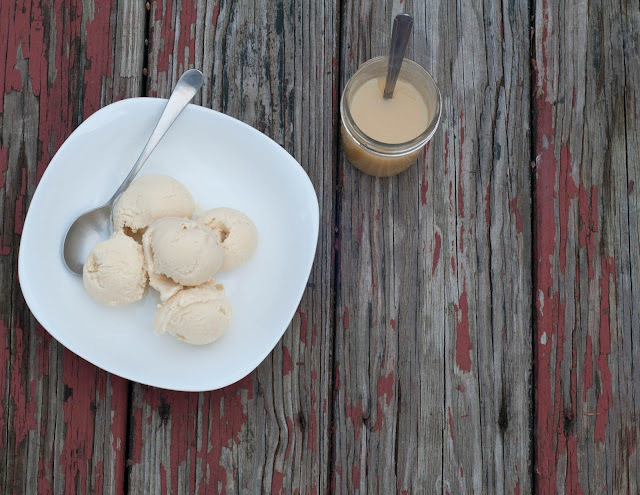 Blend in your ice cream maker and when it's time to serve, I thought the paw paw ice cream paired nicely with a caramel or honey sauce.